It was completely one-way traffic in the main attraction matchup of Fight To Win Pro 66. The touring event hit up Houston for a night of submission-only action, which was capped off by a decisive performance in the final match of the evening. 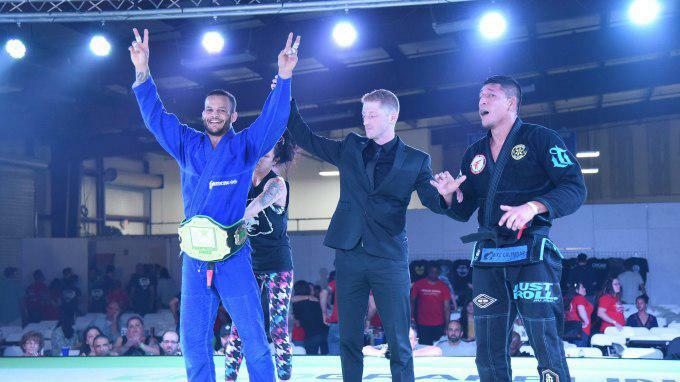 Marcos Tinoco, a Brazilian residing in New York and one of the principal team members from the esteemed Marcelo Garcia Academy, defended his middleweight title against Texan grappler Jose Llanas with a submission at just over the six-minute mark of their bout. Llanas pulled guard and nearly paid for it as Tinoco tried a jumping interception to side control. From the top, Tinoco threatened a kneebar. A choke by Tinoco looked tight, but Llanas showed great resilience in finding a way out. The end came via a cross choke from mount by Tinoco. In other action, Fight To Win crew members Seth Daniels and Mike Calimbas were in action. 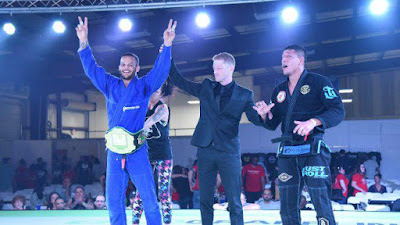 Daniels, F2W’s CEO (and a veteran of many submission-only matches), had a rough time after getting submitted by a choke, while Calimbas, a photographer for F2W, was victorious in his debut, winning via footlock.